After the third and final session at the Drink Local Wine Conference we huddled into an adjacent conference room for the Virginia Wine Twitter Taste Off. With an InFocus projector displaying Twitter feeds from the #dlwva & dlwmd hash tags, Virginia and Maryland wineries were poised to present one white and one red wine in this fast paced Social Media showdown. Well it wasn’t that fast paced, although I hadn’t finished all of the wines by the time we needed to submit our ballots for best red, white, media and consumer wines. So I guess is better to say that it was fast paced but I wasn’t! A lot of my favorite players were in the room including Breaux Vineyards, Pollak Vineyards, King Family, Jefferson Vineyards, Corcoran, and Michael Shaps. The goal of this was to taste through the wines, tweet about them as you go along and in the end vote for your best. Fun concept! I started with Tarara Winery, one that I have never been to, but have heard a lot about from fellow bloggers. Jordan Harris, winemaker at Tarara was on premise to pour his wines and I started with his ’08 Chardonnay. It admittedly wasn’t my style, a bit oak dominated on the nose and front of the palate, but luckily it had plenty of great fruit to go along with it. Next I tried Jordan’s Syrah, a variety that you don’t see too much in VA but is starting to pop up here and there. The Tarara Syrah is done in the Cote-Rotie style, co-fermented with Viognier, I can’t remember the the percentage. I was very impressed, it was full bodied with lots of dark fruit, and meaty notes with hints of classic Syrah green olive. As much as I liked it I don’t know if I liked $50 worth. Although it was an excellent effort for a non-typical variety in Virginia, $50 is a pretty steep pricetag, in my opinion. I bounced around the tables a bit, catching up with my friends in the VA wine industry and re-tasting through some of the wines I’ve sampled in recent months. I made my way over to Breaux Vineyards to taste their ’02 Merlot Reserve and their ’08 Viognier. Trying the latter first, it was a classic VA Viognier with beautiful honeysuckle and apricot notes with a crisp dry finish. Not be a huge Merlot fan, I was impressed with the ’02 Reserve Merlot, and voted for it as the best red wine. It was dominated with layers of black cherry, plum, leather and hints of mocha. For being 8 years old the structure was still there and presented lively yet smooth tannins. A few Rose’s were poured but I think the best effort went to the ’09 version Boxwood Winery. Made from Cabernet Franc it reminded me of classic French styles of dry Rose, although made from different grapes. Beautifully clean and crisp with light notes of strawberry, watermelon and hints of minerality and a bone dry finish. In addition to the Syrah from Tarara the other most interesting variety that was poured was the 2008 Albarino from Chrysalis Vineyards, yes an Albarino. I thought it was a very nice wine, but stylistically was a bit off from classic versions for the Rias Baixas region of Spain. Tasted a bit too rich, closer for me to another native Spanish grape, Godello, or even a light Viognier with hints of honey that I was picking up. It was a good wine don’t get me wrong, and I’m happy to see different grape varieties being tried in Virginia. It was obviously a crowd favorite as it won for best white wine of the day. The white wine that I voted for was the ’09 Viognier from Pollak Vineyards, a wine that I’ve been following since it was a baby. I tasted this wine out of the tank not long after harvest last October and was as impressed then as I am now. Although still a young wine, it was showing classic flavors and aromas of honey, peach, Asian pear and apricot with the addition of floral notes. Lusciously rich with a refreshing backbone of acidity, the ’09 Viognier will be even better in 6 month to a year. Thanks to the organizers of the events and to all the wineries that came out and poured for us. After the Drink Local Wine Conference, fellow VA wine blogger Dezel Quinlan of My Vine Spot headed South to visit a new winery to both of us, Delaplane Cellars. Even on a cloudy day the views from this fairly new winery were amazing, surrounded by the rolling hills of Faquier County. Owner Jim Dolphin met us to give us a taste through his hand crafted wines and give us the background on his new labor of love. Being a wine lover for some time, Jim, as many of us do got the dream to open his own winery. Before jumping in he took wine making and viticulture classes with Jim Law at Linden Vineyards, in addition to working several harvests with him, as well as taking several enology courses through UC Davis. He started by making wine at home, two of which got second and first in consecutive years at the VA state amateur winemakers competition. Before deciding on the property and planting Jim had extensive soil analysis done to see which varieties and trellis systems should be used and found that his soil did change from top to bottom. The top section of the property contains more sandy, loamy soil and proceeds to turn to a more clay dominated soil near the bottom of his 7 acres under vine. 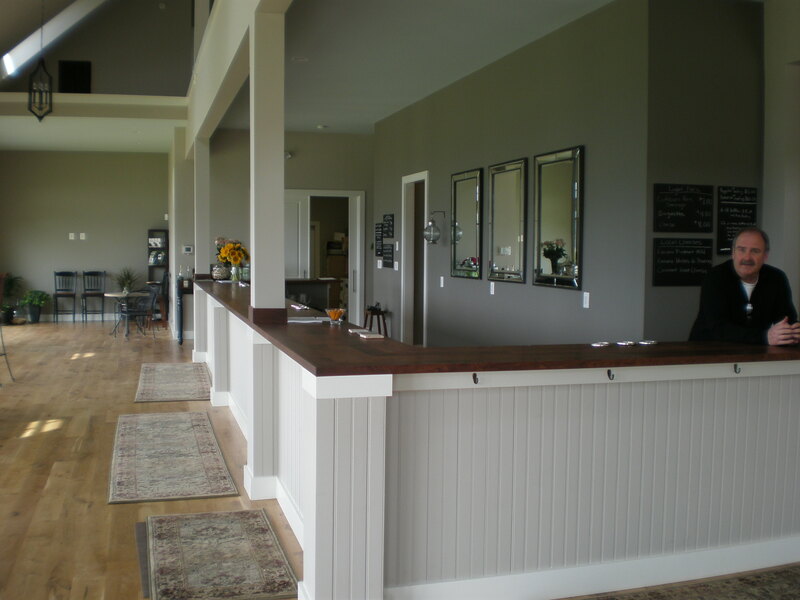 The tasting room is magnificent and attention to detail is key for Jim to provide the best possible tasting experience. From quality Schott Zwiesel crystal tasting glasses on the Black Walnut counter harvested from the property where the winery sits, to the odor free soap in the restroom. The vines are currently in their 2nd and 3rd leaf so the wines that we tasted were produced from fruit purchased from selected vineyards around the state. The wine at Delaplane offers a range of taste from the rich Viogniers to their reds which run the gammot of “old world” and slightly funky to bigger more fruit forward “new world” styles. We tasted the entire lineup that they have and I have to say I enjoyed every single wine they had, which is rare to find, especially here in Virginia. I take that back, they do have a Syrah/Viognier blush with 3% residual sugar that I didn’t care for. 2008 Honah Lee Viognier – nice rich style Viognier with notes of citrus, apricot, peach and tangerine. Intereasting “chalky” component that I thought added interesting complexity to the palate. Acidity showed itself at the end to help brighten up the fruit and lean up the viscosity on the tongue. 2007 Springlot Reserve Single Vineyard – big and almost “sweet” fruit on the nose with aromas and flavors of boysenberry, black cherry, spice box and cocoa powder. Interestingly a dose of bright red fruit notes kept showing up in the mid-palate that was quite nice. Full bodied with big well integrated tannins. Afterwards I enjoyed a glass of the Cabernet Franc and a nice local cheese platter with Dezel before I headed home. Interestingly enough, Jim used to live about a mile from where I now do and used to be a frequent customer of the wine shop I now manage. Small world! The second Drink Local Wine Conference took place in Loudon County, Virginia this past weekend at the beautiful Landsdowne Resort. In attendance were bloggers, traditional print media writers, VA wine industry folks, consumers and other members of the wine trade. I had the interesting perspective of being four of the aforementioned attendee types. I as most people in the room am a consumer, I help run my in laws VA winery, I manage a wine shop and I write a wine blog. The bulk of the conference was focused around three sessions on Sunday followed by a VA wine twitter taste off, aka speed tasting smack down! The first session, titled Thomas Jefferson was right: The grapes that work best for Virginia was led by Moderator: Richard Leahy, Vineyard & Winery Management magazine. Panelists: Matthew Meyert, Williamsburg Winery; Jennifer McCloud, Chrysalis Vineyards; and Matthieu Finot, King Family Vineyards. I had the perception that the session would revolve around hybrid varieties that have shown to thrive in Virginia versus the typical Vinifera varieties. 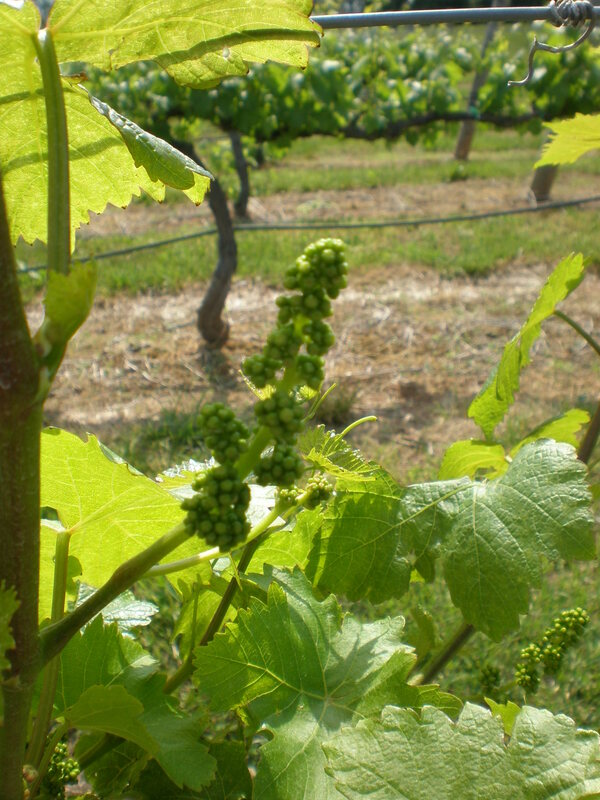 (some of which also thrive in Virginia) A few of us mentioned after the session that we found it odd that the Chambourcin grape was mentioned, not that it is one I typically enjoy but it is one that shows up in a lot of Virginia wineries. Jenny McCloud’s passion for Norton was evident as she holds the largest planting of Norton in the world. Jenny McCloud is also doing great things with typical Spanish varieties such as Albarino, of which hers won the best white wine at the Twitter Taste Off. 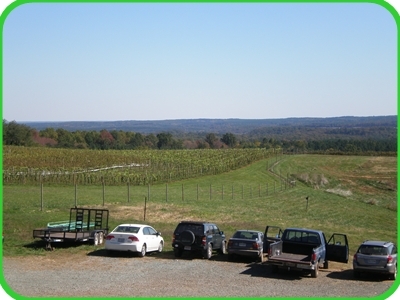 Brief mentions were made of the grapes that are typically thought of Virginia’s “best”, Cabernet Franc, Viognier and a recent front runner Petite Verdot. There was a general consensus that blending is a key component of making great wine in Virginia (specifically reds) and that Virginia needs to keep exploring grapes that thrive in climates similar to that of Virginia, like Albarino. The second session, titled Social media: How regional wineries can get the word out was led by Moderator: Michael Wangbicker DWS, CWE. Panelists: Lenn Thompson, New York Cork Report; Jennifer Breaux Blosser, Breaux Vineyards; and Jeff Siegel, the Wine Curmudgeon. This session was the highlight of the conference, I think because it had the most interaction with the audience. The key take away was social media is all about engagement versus promotion. Jen Breaux was revered by Lenn and others in the room for “doing it right”, keeping her tweeting about a conversation instead of PR promotion. Whether it is Twitter, Facebook, blogging, or Foursquare, social media is just another tool in the toolbox for the wine industry. The third and final session titled If local food, why not local wine? was led by Moderator: Dave McIntyre,Washington Post. Panelists: Mary Watson-DeLauder, Lansdowne Resort; Andrew Stover, Chef Wino and Todd Kliman, Washingtonian magazine. This is one I was most looking forward to, but have to say was most disappointed by. Nothing against the speakers, but I felt that the discussion never really got to the heart of the session title. It danced around it and went off on a couple of tangents, maybe because there is no clear answer to the question “why not local wine?”. The subject of pricepoint came up briefly and I think that is a large part of wine you don’t see more VA wines of wine lists of VA restaurants. 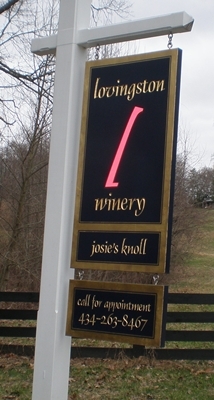 The other reason is that a large selection of VA wineries thrive on the tourism part of their business and basically sell out of their wine from the tasting room. Why would you make less money if you didn’t have to, just to get your wine on a wine list. The reason they should, is for more exposure! That loss in revenue can be chalked up to marketing in my opinion. As a retailer, my VA wine customer is very different from every other customer. People come in for a specific wine that they had a festival, or at the winery and if I don’t have it, they usually don’t want another one, VA or otherwise. It’s quite impressive, that their experience with that particular wine was so powerful. A lot of times it’s not the fault of the retailer for not stocking it, but more times than not, the winery doesn’t distribute. I still find it interesting that consumers go out of their way to buy local produce, meat or seafood but don’t extend that passion to their wine. An interesting point was made after the session by Lenn Thompson I think, that local food portrays a level of quality and local wine hasn’t achieved that status yet. The best part of the conference was seeing old wine friends and meeting new ones, all of which have a palpable passion for local wine. The discussions between sessions, at lunch and at dinner were fantastic and were definitely one of the highlights for me. Stay tuned for my wrap up of the Twitter Taste Off and the dinner Magnolia’s restaurant. Being in retail wine sales for my day job, I appreciate the lower prices as a lot of times comments regarding Virginia wines are negativity towards the pricing. I do hope they can afford to keep pricing wine this way, as they are pretty small. At around 2K cases, I imagine it’s hard to absorb the chunk that the distributor takes, especially at the low retail prices they are shooting for. In addition to the fact that this is the primary means of their sales vs. most VA wineries, where wholesale is a small percentage. Both Stephanie and her dad visited with me and gave me the full spiel on their wines and impressed me with their knowledge of wine and wine making. I didn’t get to meet the winemaker, Riaan Rossouw who is South African, a shame because I hear he is a hoot to talk with. 2007 Cabernet Franc ($12) – (10% Merlot) – full of earthy notes (especially on the nose) black currant, sauteed green pepper, and raspberry. Juicy in the mid-palate but still maintained a nice “leanness”, with a medium to full body. 2009 Petite Manseng ($13) – (2% RS) – very rich, ripe apricot and mango, very tropical. The slight sweetness is very balanced as the wine had some good back end acidity. Cheers to Lovingston for a nice visit and some tasty juice! 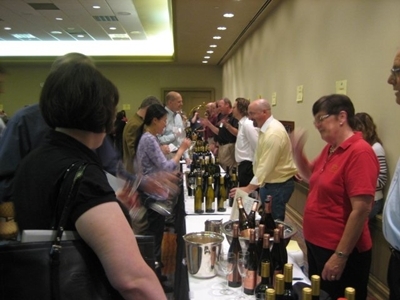 This weekend is the 3rd annual Virginia Wine Expo here in Richmond, Virginia. The official tasting starts Saturday, but Friday night starts with special seminars and events that continue all weekend. I’ll be attending Sunday from 12-6, if you are around, shoot me a tweet @vcuspoon. Over sixty wineries will be in attendance so it will give you a good idea of what the state has to offer. There are handful of ones I haven’t been too that are attending and I can’t wait to meet. 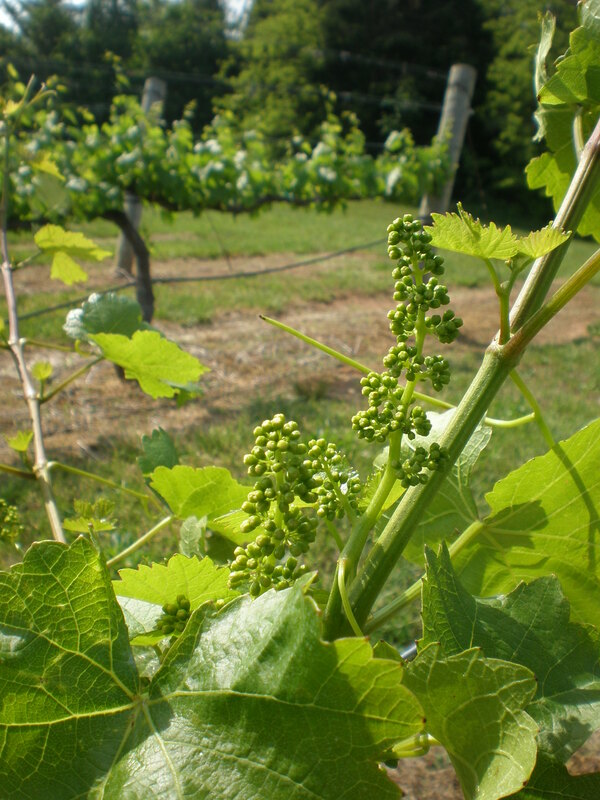 Of chief importance to our industry are Senator Watkins’ Senate Bill 237 and Delegate Landes’ House Bill 588, both of which will spur rural economic development and tourism through greater promotion of Virginia as a wine destination. SB237 has already reported out of the Senate’s Rehabilitation and Social Services Committee. It and HB588 are now before the Senate Finance and House Appropriations committees, respectively. Please take a moment to email your legislators to explain the importance of this legislation to our industry and to Virginia’s overall economic revitalization. The Virginia Wine Council also made great strides on two other items of our legislative agenda this week: securing the ability to conduct tastings in ABC Stores and restoring the ability of farm wineries to use third-party marketing portals to sell wine via the Internet. 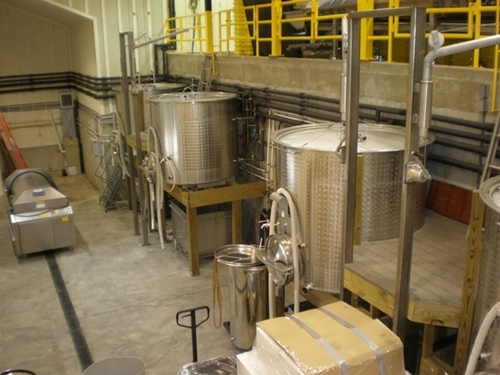 SB26 (Puller) originally granted only spirits manufacturers the ability to offer tastings of their product in the stores; however the VWC worked with the patron and allied industries to extend Virginia farm wineries the same privilege. That bill reported out of Senate Rehabilitation and Social Services this morning. In late 2009 Virginia ABC issued a series of circulars that prohibited the use of third-party marketing portal services, such as VinoShipper. 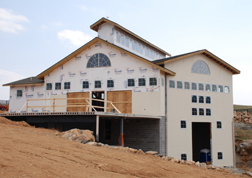 Over weeks of negotiation the VWC has reached a settlement with ABC and the wholesalers to restore some of that ability to the wineries that depended on that model as part of their business plan. HB630 (Scott, E.T.) and SB483 (Hurt) create an in-state marketing portal license and an approval process for out-of-state marketing portals, provided they are operated by agricultural cooperative associations. Below I have provided a brief update on other legislation of importance to the Virginia Wine Council this year. Please feel free to reply to this email with any questions you may have. Agri-tourism Incentives Act; created. Working with patrons and leading industry groups (Agribusiness Council and Farm Bureau) to find mutually agreeable resolution. It is likely that a study group will result from both this legislation and the Farm Business legislation (below) also sponsored by both Delegate Landes and Senator Hanger. Farm businesses; local restrictions. The VWC is working with industry groups and the patrons to amend the language of this bill and the Agri-tourism Incentives Act (above). We have submitted amendments to proposed language that avoids creating a definition of a “farm business,” particularly in any way that excludes farm wineries. This suggestion has been accepted by the working group that includes the Agribusiness Council and Farm Bureau. Consumption of lawfully acquired wine at certain licensed establishments with corking fee. Delegate Loupassi submitted this legislation on January 22nd that would permit consumers to enjoy a bottle of wine brought from their private collection at the restaurant of their choice, provided the restaurateur agrees. A reasonable fee may be charged. Alcoholic beverage control; third party shipment of wine and beer. The VWC reached a resolution with all parties (manufacturers, distributors and wholesalers) that will preserve the original intent of the legislation. This bill will permit wineries to operate fulfillment centers AND contract with 3rd parties to operate web portals. This legislation will restore a similar service to VinoShipper for Virginia consumers, but will require a portal license from ABC and require that the licensees be organized as an agricultural cooperative association. The substitute with this new language was reported from the ABC subcommittee of House General Laws on Thursday and was reported from Senate Rehabilitation and Social Services this morning. Alcoholic beverages; tasting event to be conducted at government stores under certain circumstances. The VWC asked the patrons of the original bills to include Virginia farm wineries among the parties who may conduct tastings of their product in ABC stores. If passed, farm wineries whose products are sold through Virginia ABC stores will be permitted to conduct tastings of product already for sale. The Senate version reported from Senate Rehabilitation and Social Services this morning with only one vote in opposition. The House version will be taken up next week by the ABC subcommittee of House General Laws. Alcoholic beverages; portion of wine liter tax collected to be deposited in Wine Promotion Fund. The Senate version will not likely be heard in Senate Finance until at least February 10. The House version has been referred to a subcommittee of House Appropriations and may be heard as early as this coming Tuesday. My friend Greg invited me over to his house yesterday for a little geek fest over some old vintage Virginia wines. 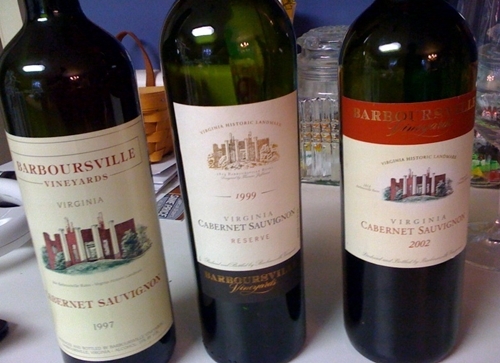 He was opening a ‘97, ’99 and ’02 Barboursville Cabernet Sauvignon with the ’99 being a Reserve. 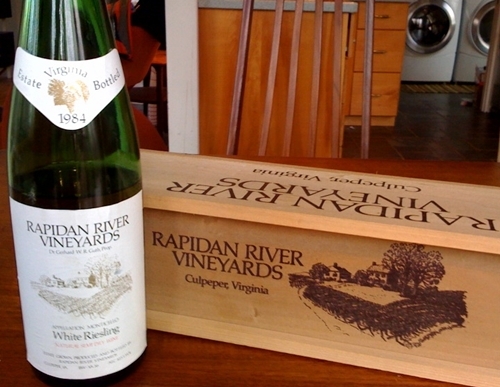 In the spirit of opening old Virginia wine, I took over a recent discovery in my cellar, a 1984 Rapidan River Riesling. We started with the Riesling, which was tasting better than I thought it would, but still not that great and definitely past it’s prime. The cool part about this Riesling, besides the fact that it’s an ’84 from VA, but it was also made about 10 miles from where I grew up, 7 years after I was born. The cork showed some seepage and was really loose when I pulled it out, and although old, I think the darker golden color of the wine was due to an influx of air over time. All that being said, this was a textbook example of gasoline, diesel fuel aromas on an aged Riesling with hints of burnt sugar (caramel). Unfortunately most of the fruit was gone on the palate, hints of apricot and honey did show up for a second, but were quickly dissipated by the watery finish. All in all, better than I expected for an old wine made from a grape that doesn’t thrive here in the state. We started with the ’97 which was tasting good but unfortunately seems a bit past it’s peak. Not a whole lot of fruit left, the nose showed aromas of cedar, anise, cocoa and a hint of funk. The palate had a nice dose of cranberry, baking spice, tobacco leaf and leather accompanied by a smooth medium body. The finish was really short, faded away soon after swallowing. Impressive for a 13 year old Cab from Virginia. More impressive was the ’99 Reserve, still showing notes of dark fruit both on the nose and palate. Specifically, heavy doses of black cherry interlaced with leather shop aromas. The taste buds were picking up flavors of blackberry, spice box, cedar, pine and red clay. Tannins were still present in this guy, showing a nice velvety texture. I think the ’99 isn’t past it’s prime but it’s definitely on the downhill slope. The 2002 had a great nose of red currant, and raspberry with a bit of sweet cedar and eucalyptus. Sounding great right? Well on the palate I got cork taint, boo! It was subtle at first but for me it definitely built up over the course of the glass and by the end of it, all I could taste was musty newspapers. The group didn’t agree with me completely but thought something might have been a bit off. Oh well, you can’t win ’em all. I think the ’99 Reserve was the winner for me, as well as everybody else. 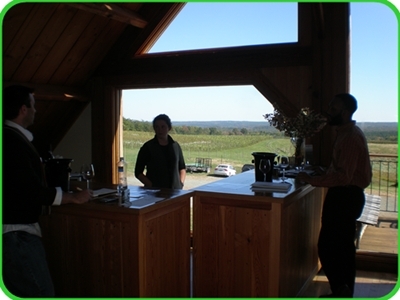 It was definitely a fun time – tasting some old Virginia wine. Some good, some bad, as is the case when opening older vintages, you never know what you’re going to get. We also opened an ’81 Richter Riesling that I’ll review on a separate post. 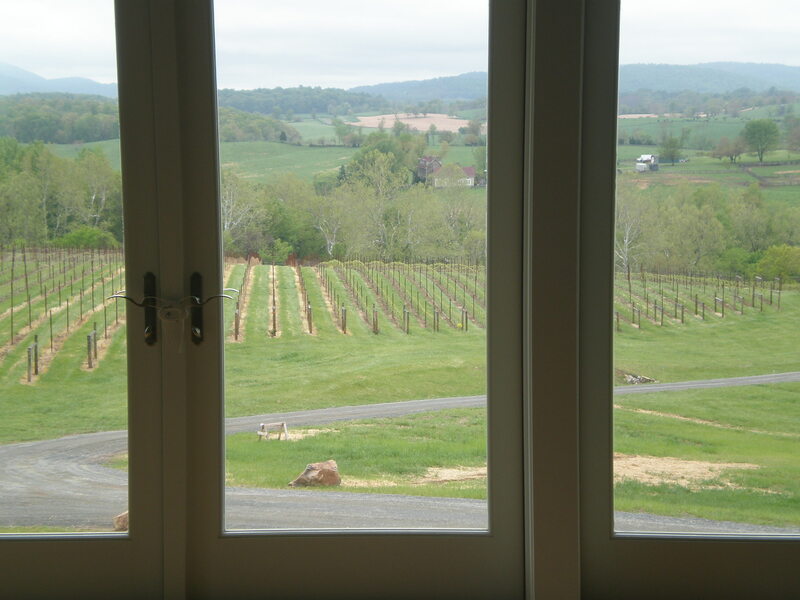 I comprised a list of Virginia Wineries that are on Twitter, some of which I already followed and others were new ones that I found. 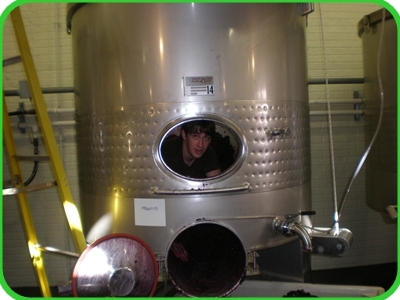 After searching on Twitter itself, I went through every wineries website, looking for their Twitter Tag. Surprisingly of the 142 wineries in the state only 17 are on Twitter. There may be more that I missed so if you aren’t on this list and want to be, shoot me an email. You can link to any of the wineries twitter account by clicking below or you can follow the whole list here. As more wineries get on Twitter, I will update the list. A week or so ago I wrote about my visit to Blenheim Vineyards with Frank and Dezel. On the same trip we visited one of my Virginia favorites, Pollak Vineyards, and met up with friend and winemaker/GM Jake Busching. 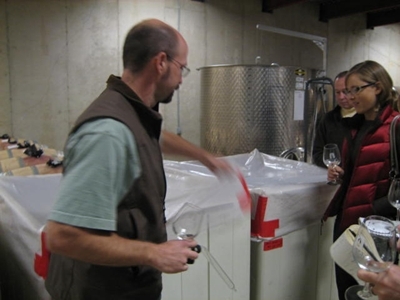 On this visit, we also had the opportunity to taste and visit with Dave Pollak, the owner of the winery. I have written about Pollak several times in the past and on the tasting menu there weren’t too many new wines since our visit back in May. We did get to sit down and taste some new releases though and a couple that I had not tasted before. 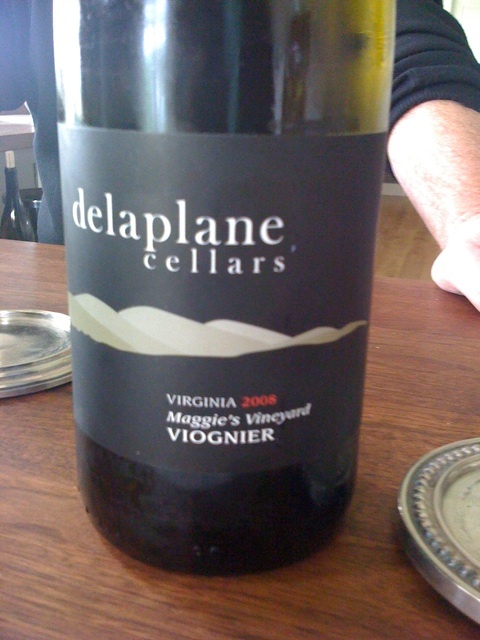 2008 Viognier – floral with pear and apple on the nose; honeysuckle and tropical notes on the palate. Full viscous body with a dry and clean finish. 2006 Meritage – beautiful nutmeg, black currant, leather and mint on the nose; raspberry, red currant and spices on the palate with smooth fine tannins. 2007 Cabernet Sauvignon – lavender, blackberry, mint and red currant with touches of floral notes. Full bodied and young with leathery tannins. 2007 Cabernet Franc Reserve – (17 mos in French Oak, 60% new; picked at 25º Brix) – ripe raspberry and red currant, wet earth and vanilla on the nose; mocha, coffee, spice, cooked greens, red currant and cherry on the palate. Very smooth full body with a lush mid-palate. The other cool part about visit, besides the special tasting with Jake and Dave, was that we got to taste a bunch of samples from the 2009 vintage. Thanks to Jake and Dave for the visit – great time as usual! 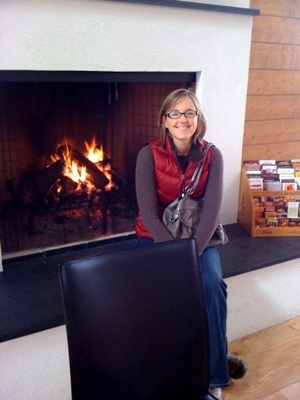 One of the new wine makers that I met was Kirsty Harmon of Blenheim Vineyards. I have been to Blenheim before but not since Kirsty took over last year. Not that I disliked like what was being done at Blenheim before, I was actually a big fan, but I must honestly say I really love the new approach and the wines are fabulous. “Kirsty developed an appreciation for wine through a job that allowed her to apprentice for famed Virginia winemaker Gabriele Rausse. 2008 Blenheim Farm Chardonnay – $20 – (all estate fruit, 100% barrel fermented) – Slightly tropical in nature, with apple, ginger and tangerine with notes of melon and almond at the back of the palate. Full body, again great balanced acidity. 2008 Viognier – ( fruit from Honah Lee Vineyards and Mt. Juliet Vineyards, 40% barrel fermented for 5 months) Honey and fresh flowers on the nose, followed by honeysuckle, fuji apple, and more floral notes. Round full body with a touch of spice. 2008 Seven Oaks Merlot – $18 – (fruit from Seven Oaks Vineyards) – loved the nose, full of black tea, black cherry and cranberry. Palate was a little awkward, hints of candied fruit. Medium body with nice leathery tannins. 2008 Blenheim Farms Cabernet Franc – $22 – (estate fruit, not sure of oak program) – cherry raspberry and red currant and notes of dried herbs on the nose. Similar flavor profile with the addition of black pepper notes. 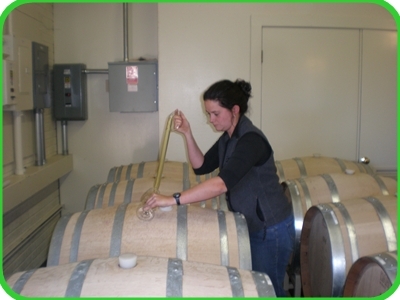 Kirsty took us down to the winery, and had us taste some ’09 samples out of the barrel and tank as well as ’08 Petite Verdot that has been bottled yet. 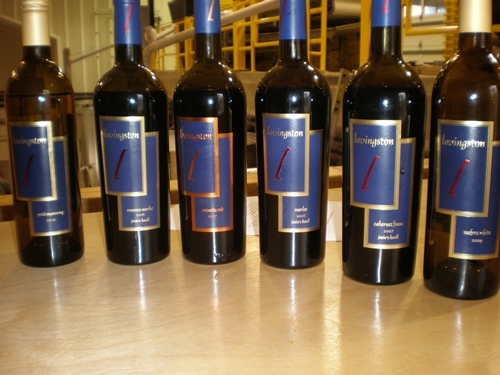 As I stated in yesterdays post I was very impressed with what we tasted from the ’09 vintage. The baby Blenheim wines were showing great fruit and structure and Kirsty is working with some interesting Rhone varieties that show some nice promise. Thanks to Kirsty for her hospitality, we all had a great time.